Multiple websites are reporting that the long-awaited KTM 390 Adventure lightweight adventure bike is making steps towards production. It is being reported that according to import documents, KTM has imported two test mules into India for “R&D purposes” under the code name KT22. 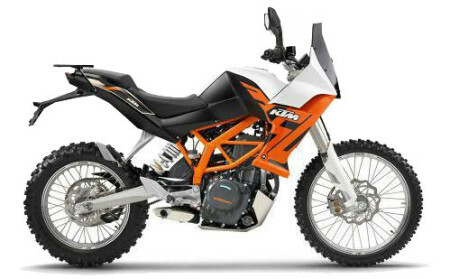 The 390 Adventure is purported to be based on the KTM Duke 390 and RC390. As such, the sites are saying that the 390 Adventure will be the recipient of some of the components from the street siblings above. 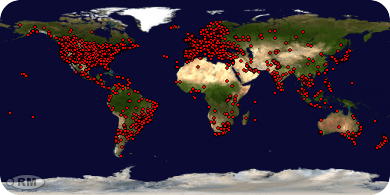 Some of the sites are quite detailed about the components and details of the 390 Adventure which potentially makes these reports subject to increased scrutiny. If they “know” these things, why don’t they affirmatively say that the bike has received the production nod from KTM? Nonetheless, they are reporting that the 390 Adventure will likely share the Duke/RC390 engine. If this is the case, we can expect a 373 cc single cylinder, fuel injected engine that makes 43 horsepower and approximately 26 ft/lbs of torque. This will not put the bike on similar power footing with the KTM 690 Enduro, but hopefully could add to the range capability of the machine. It will reportedly have a six speed gearbox with the engine tweeked for application to a light adventure bike. It is also reported that the 390 Adventure will get heavier suspension with longer travel, higher ground clearance, disk brakes on both ends and more off road oriented tires. This definitely makes sense and would likely be necessary for the bike to be a success. It it is being reported that the 390 Adventure will come with luggage mounts, a larger windshield and bark busters. Lastly, there will be some styling changes (obviously) with redesigned lights, a more comfortable seat and a side mounted exhaust. Click here, here, and here for three of the sites providing the info for this article. This entry was posted on June 18, 2015 by Ride2Adventure. It was filed under Adventure, adventure motorcycle, adventure ride, Bajaj, dual sport, enduro, KTM, Motorcycle, off road, Overland, Travel and was tagged with 390 adventure, adventure, adventure bike, dual sport, enduro, KTM, off road, overland, ride2adventure, travel.